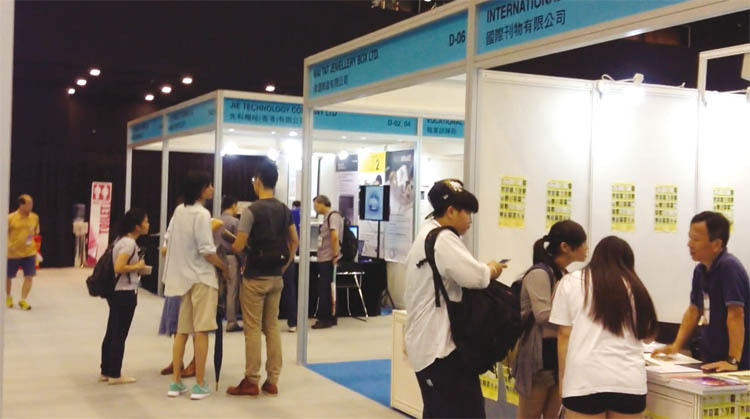 HKJJA Exhibition Services Limited brought down the curtain on the second edition of METS – Machinery, Equipment, Technology and Supplies for Jewellery & Watch Industry on 27 June 2015 at Kowloonbay International Trade & Exhibition Centre (KITEC), Hong Kong. The four-day professional show recorded a momentous attendance of quality buyers from Asia (excluding Hong Kong), the world’s fine jewellery and watch making hub, which accounted for 35 percent of the total number of buyers, almost doubled the figure last year. Show participants were enthusiastic to learn about the brand new format of METS in 2016 - ‘T-GOLD + METS PAVILION’ to be held at HKTDC’s Hong Kong International Jewellery Show in March. The innovation-studded event accommodated a wide variety of pioneering equipment and technology for modern jewellery and watch making. Attention seekers brought by over 80 exhibitors from China, Hong Kong, India, Israel, Italy, Japan, Korea, Taiwan, Thailand and Turkey were Auto DIASSORTERTM automatic diamond sorter, LF-M laser 3D printer, 3D CAD software, DS3000 natural diamond selector, Sarine LightTM light performance measuring and grading system for diamonds, Chiyuyan automatic wax injector, etc. 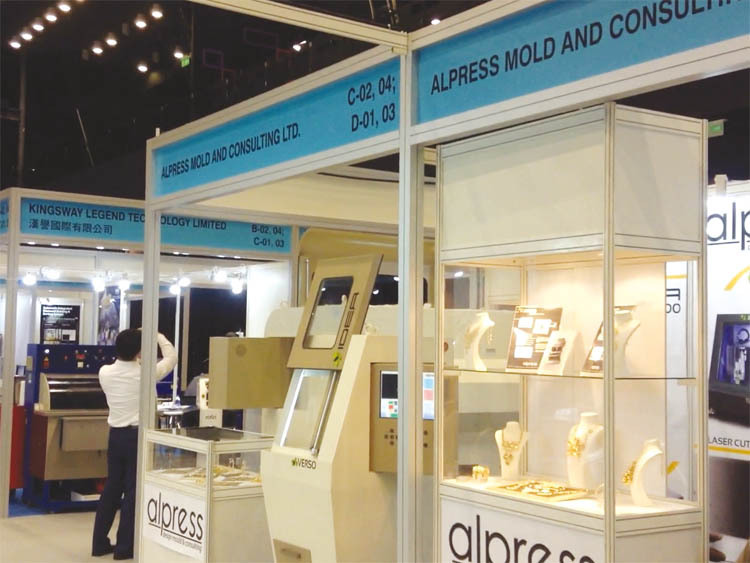 In order to appeal to a broader audience, METS 2015 launched several well-responded programmes such as free diamond and jadeite testing services onsite and special offers on selected exhibits on the last day of the show. According to HKJJA Exhibition Services Limited, show organiser, METS 2015 witnessed a notable surge in the number of visitors from Asia by nearly one-fold over last year. “Excluding Hong Kong, 35 percent of buyers came from Asia where a vast majority of jewellery and watches is manufactured. The encouraging figures have proved the success of our painstaking marketing and promotion campaigns ever launched,” said Ken Lo, chairman of the METS Exhibition Committee. In celebration of the 50th anniversary of the Hong Kong Jewellery & Jade Manufacturers Association (HKJJA) and the 10th anniversary of the ‘Adopt-A-School’ Project (AASP) this year, a grand banquet with 65 tables was held on the first show day, 24 June, at KITEC. It was of great honour to have Chief Secretary for Administration Mrs. Carrie Lam, GBS, JP, inaugurate the momentous event. She recognised and appreciated the arduous effort AASP has made to increase the scope of beneficiaries. The event was wellattended by global industry leaders and trade association representatives from Thailand, Malaysia, Mainland China, Israel, Sweden, etc, government officials and international media friends. HKJJA gave special thanks to the companies who have been members for 40 years and above; some of them have been supporting the Association since its inception. Starting 2016, METS, under the new format of ‘T-GOLD + METS PAVILION’, will become an integral part of HKTDC’s Hong Kong International Jewellery in March, one of the world’s largest jewellery marketplaces. The breathtaking news has been overwhelmingly favoured by both the METS exhibitors and the trade as a whole. Ken Lo said: “We are honoured to co-organise ‘T-Gold + METS PAVILION’ with HKTDC at such an esteemed trade fair thanks to the longstanding and cordial relationship between HKTDC and HKJJA, as well as our dedication to serving the Hong Kong jewellery industry. I believe, with such a strong backing, we can be more focused on sourcing the most suitable, advanced and costeffective manufacturing solutions for the world’s jewellery and watch makers.” More details on ‘T-Gold + METS PAVILION’ will be ready later on.